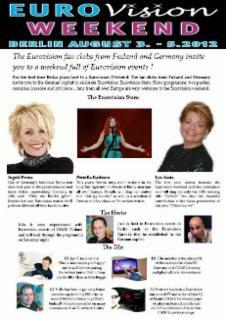 Eurovision is not just a hobby - it's a lifestyle ! 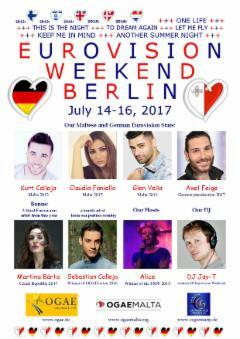 Around the year Eurovision fans meet in different occasions, culminating in the Eurovision Week(s) in the host city...and then ? It's a long time until the next season starts, many suffer from PED (Post Eurovision Depression). 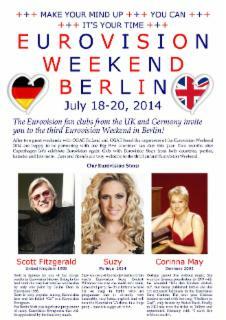 To cure this the Eurovision Weekend is a good way: Two months after the Eurovision Song Contest the regional branch of the OGAE and EC Germany invites to the Eurovision Weekend to Berlin: Easy to reach, easy to combine with holidays, easy to meet the other fans again and spend a nice weekend together. 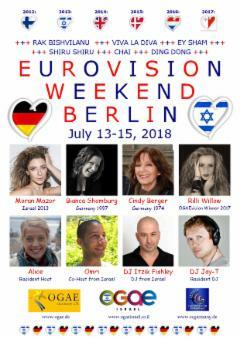 The general idea was to spend a whole weekend together with the Eurovision Community, have parties as well as a Gala, get together and meet the other fans an celebrate Eurovision. One main idea is to organise the event together with a different fan club each year, giving a special spirit to the Gala each year as one artist is a participant from the partner country, the other one is from Germany. So in 2012 the organisers asked the first Eurovision Fanclub, OGAE Finland, to create such an event together and it was magic. Encouraged by the feedback of fans and participants the second edition was organised together with OGAE Israel and the magic even grew. 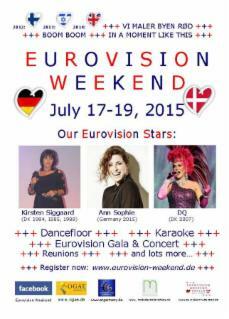 The Eurovision Weekend has developped to a regular yearly event, the third edition in 2014 was organised together with OGAE UK, the forth in 2015 together with OGAE Denmark, the fifth in 2016 together with OGAE Netherlands, introducing the OGAEvision Song Contest, a new element of the Eurovision Weekend. Due to the victory of Sebastian Calleja from Malta the partner fan club in the following year was OGAE Malta. 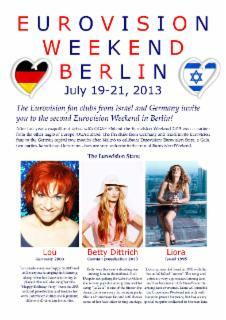 Sticking to this very Eurovision-related tradition, also the fan club winning the OGAEvision Song Contest 2017 was asked to be the partner fan club the following year, and when OGAE Israel won the Contest with Rilli Willow, it was the second time to organise the Eurovision Weekend together with her nominating fan club, so again it will be a German-Israeli Eurovision Weekend. 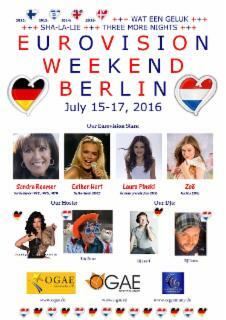 For the seventh time now the Eurovision Weekend in Berlin is the best occasion to meet the Eurovision family again two month after the Eurovision Song Contest - for fans there are simply "No Goodbyes", the slogan is "See you in Berlin in July ! ".